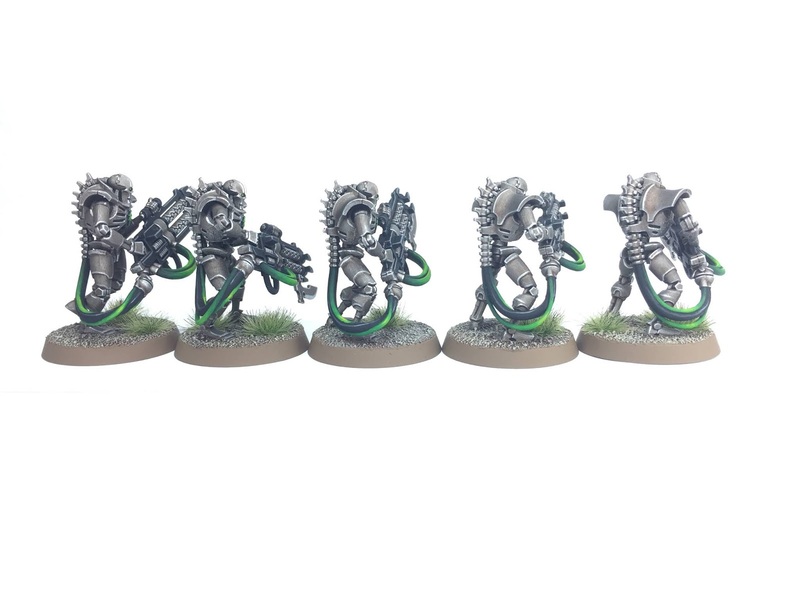 Oldhammer 40k: Necron Reinforcements... More Immortals! 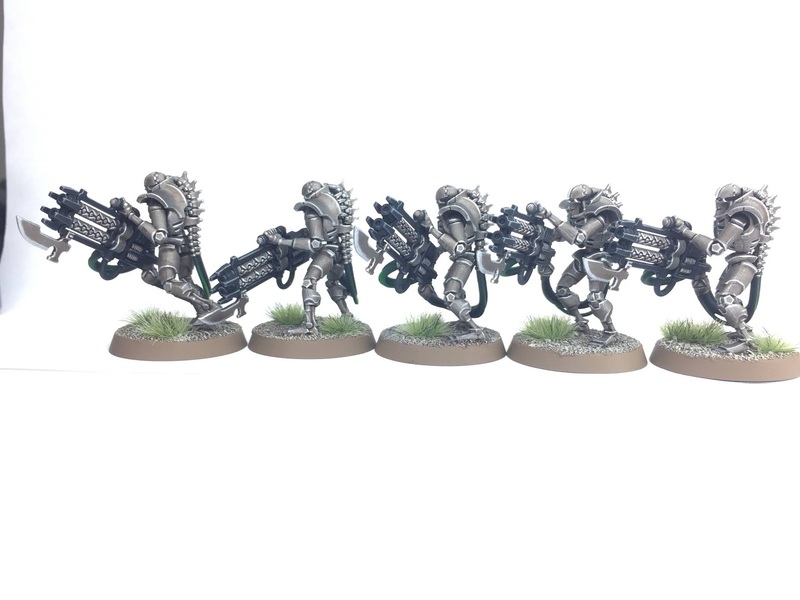 So after my post last week (and Suber’s subsequent encouragement) I have decided that I will definitely be expanding both my Necron and Adepta Sororitas force’s so that I can refight the classic ‘Battle at Sanctuary 101’. 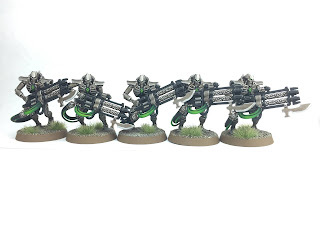 This was the first encounter between the Imperium and the Necrons, and it originally started out as a second edition 40k battle report way back in 1997. In order to build up sufficient forces to make this battle interesting I will try to work alternately on Necron and Battle Sisters unit’s each week. 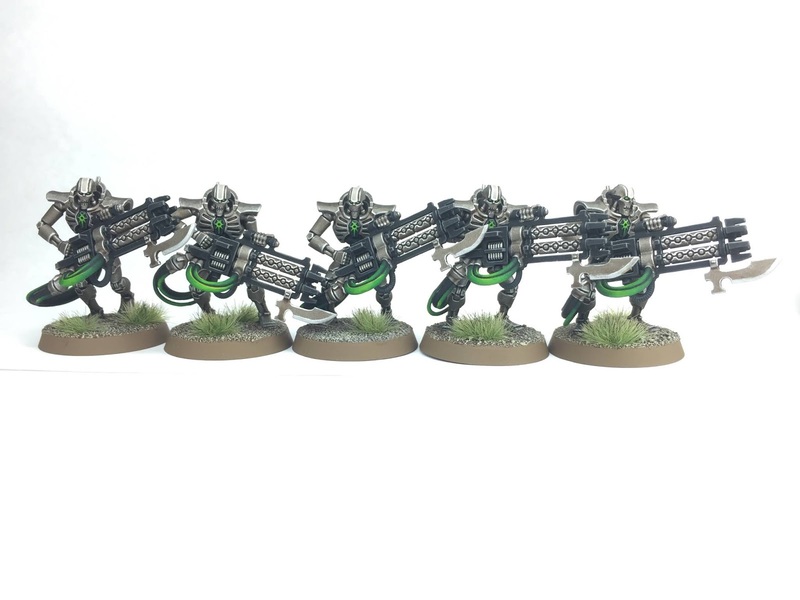 This week I have produced another five Necron Immortals. 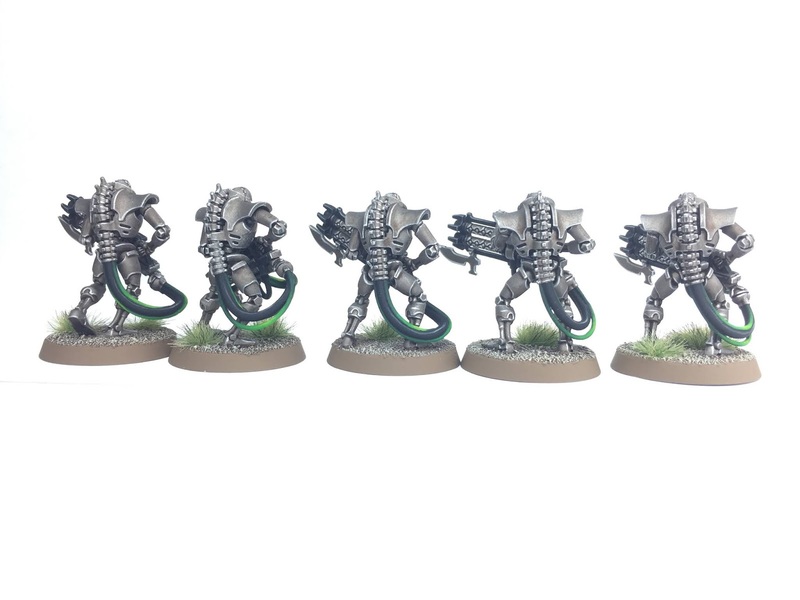 These guys can either work independently as a five man squad or combine with the five Immortals that I produced a few weeks back in order to make a full ten strong unit. 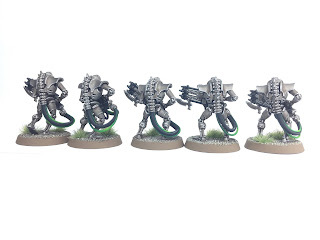 As I have completed a total of sixty Necron Warriors and ten Immortals I think I’ll look at painting some sort of character to lead this force next...possibly a Cryptek or a Lord of some sort. 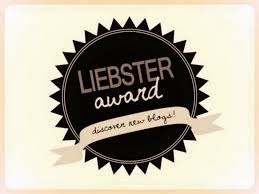 Now that I have something cool to aim for this has inspired me to maintain a strong tempo of hobby activity. It’s always great to have a goal and for me the refight of ‘Sanctuary 101’ is a great motivation! I remember reading that all those years ago. If was one of my favourite battle reports! I think it’s because the Battle Sisters and Necrons were brand new armies when it was released. You’re an inspiration sir! I’m going to try and paint some new scenery to go with the Battle as well! Urban Scenery for the Battle at Sanctuary 101!